Please note these pictures were shot un-professionally and candidly by myself. Any likeness to a quality photog is purely coincidental. Family and friends gather to rejoice the nuptuals. Another piece of celery? Where are the cheeseypoofs?? 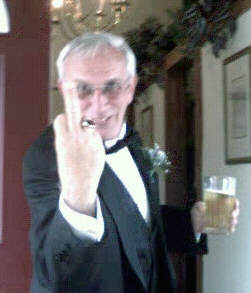 BURT taking advantage of the 5 hour open bar, and expressing gratitude! !